The simple little shop inside The Crib is churning out guilt-free treats like tarts, cakes, brownies and cookies, with some savory options like quiche on offer as well. After riding the waves post-closure of its #12 location, Great Leap Brewing bounced back and opened a branch in Lido. Thirteenth Block Tea Stall looks as if a hole-in-the-wall Hong Kong street restaurant has been dropped right in the middle of Chaoyang. Big Small went, well, small small for their new location, just steps away from Chongwenmen subway station. 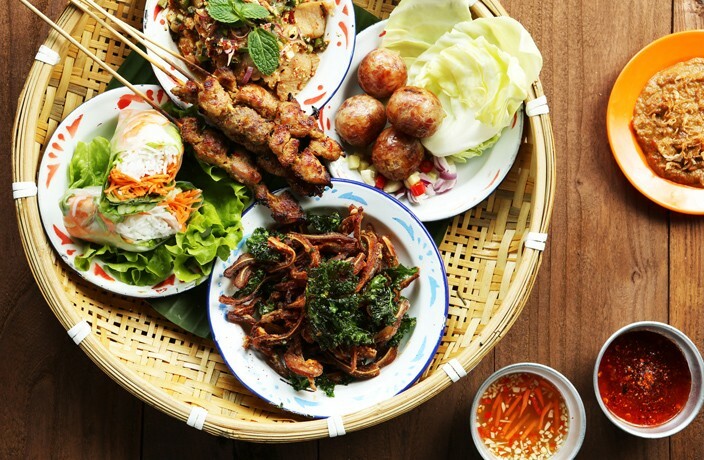 When the Thai street food-inspired eatery Cacha Cacha decided to close down, we were pretty bummed. We weren’t ready to say goodbye to its hip party vibe and tasty offerings. Luckily for us, when one door closed, another opened. After taking some time to regroup, the same team behind Cacha Cacha has launched a new Southeast Asian street food concept in its place – Kup Kup Kup. The theme of Pushkin Literature is 19th-century Russian, and the restaurant clings to this theme like a dollop of sour cream to the filmlike surface of borsch. Plush chair cushions, bookshelves and frilly drapes lend it the air of an old-timey salon, or at least a movie set for one – the black ceiling with exposed industrial piping occasionally breaks the fourth, er, wall. Food here sticks mainly to classics – but also pizzas, bizarrely. 18cm Champion Mountain is a lengthy name for a place serving some equally lengthy dogs. Aside from their specialty sausages, the 50s-style diner also serves up sides and shakes. Moji’s Sanlitun location comes some two years after their first opening in Shuangjing. The new spot is switching the hip factor up a notch with a bold color-block design of deep reds, greens and blue, and ever-present minimal neon lights spelling out the pearls of their culinary philosophy. Gimmicky details like cacti and colorful paper cuttings on the ceiling add to the charm. The authentic menu offerings come at reasonable prices, making Moji a place fit for a quick dinner with friends or a casual bite on a busy day. From the moment we walk into Gyu Tetsu, the newly opened Japanese barbecue joint in Maizidian, we’re greeted by warm smiles and the tantalizing smell of sizzling beef in the air. With sleek wooden tables and minimalist decor, the vibe is understated and tasteful (aside from the enormous bull head at the entrance). Gyu Tetsu’s design fuses a traditional izakaya, or Japanese pub, with a slightly elegant dining experience.